While Google’s new Daydream View headset may look nearly identical to its predecessor at the outset, one thing is certainly true: it’s significantly more comfortable than its predecessor. 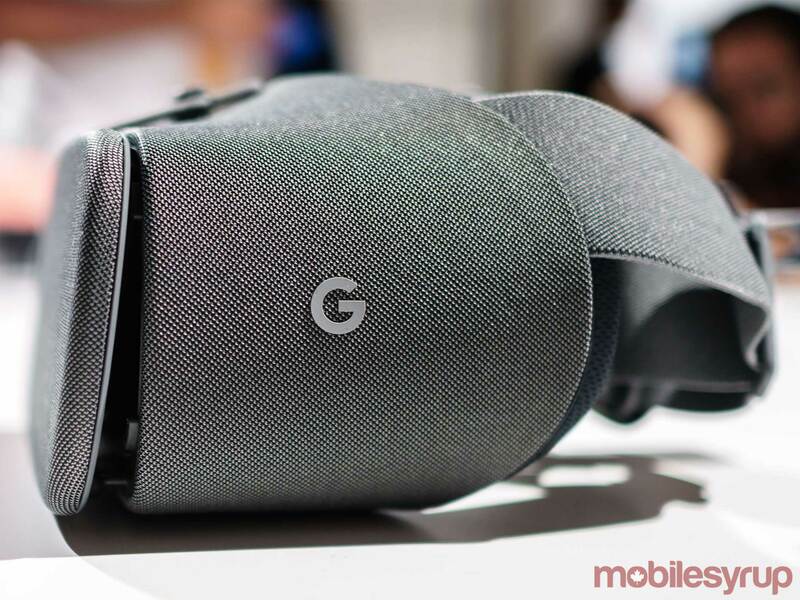 As you may have guessed, Google’s new Daydream View headset is compatible with the company’s recently revealed Pixel 2 and Pixel 2 XL smartphones. 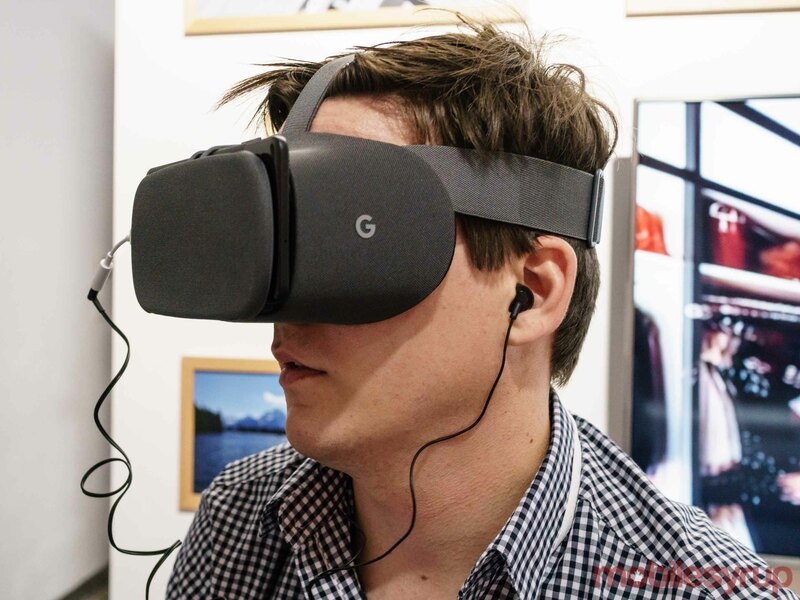 While the original Daydream View was a solid virtual reality headset, it suffered from some comfort issues, especially if you have a larger head (like myself). 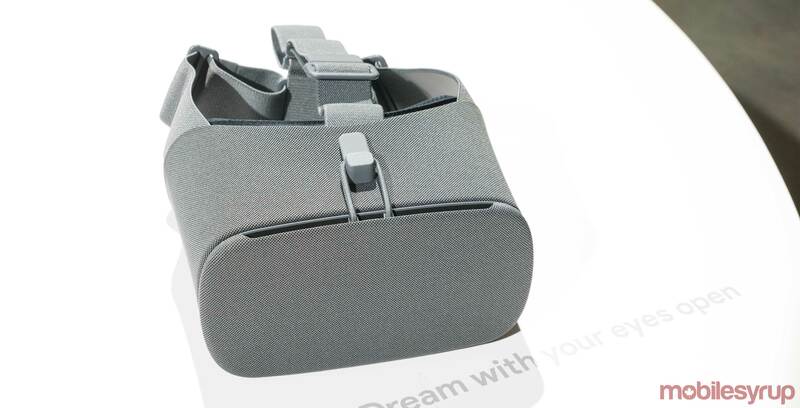 The new Daydream View features a top strap like the Samsung’s Gear VR that balances out its weight much better. 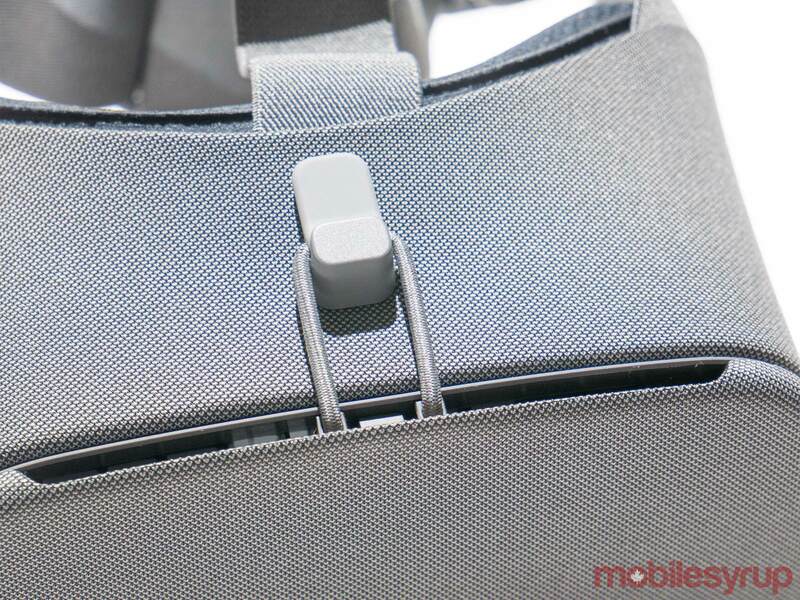 This makes the new Daydream View more comfortable to wear for extended periods of time. An added magnesium heatsink also helps dissipate heat from the phone, which is a good move on Google’s part given how hot the original Pixel would often get inside the first-generation Daydream View. The controller can also be stored in a loop located on the rear strap, making it harder to misplace the motion-sensitive gamepad. Speaking of the Daydream View’s controller, its buttons are now more pronounced making them easier to find without looking, and have additional pop to them. The controller also feels slightly lighter when compared to its predecessor. Other than these changes though, the Wiimote-like wand is exactly the same as last year’s input device. Overall, the new headset also feels lighter and amounts to one of the most comfortable virtual reality headsets I’ve ever worn — and I’ve tried them all — thanks to its redesigned facepad that distributes pressure more evenly across the wearer’s face. It measures in at 16.6cm x 11.6cm x 9.9cm and weighs 0.2kg. There is one issue though; while I still need to test out last year’s Daydream View to confirm, it feels like the new, more cushy lining in the revamped version actually leaks more light. Perhaps this is because the phone wasn’t properly positioned in the headset, though I’m not certain. Google says that in general the new View works better with people with smaller head sizes but emphasized that it’s still recommended for users ages 13 and up. During my hands-on time with the headset, I wasn’t able to play any games, though I did test out an Ed Sheeran concert experience, Cindy Crawford’s apartment (yes, you read that correctly) and an extremely brief Discovery Channel experience. Each of these demos worked great, with the headset responding to my movement in rapid fashion, though I also didn’t notice much of a difference in terms of performance with the first-generation device. Google also claims that the lenses featured in the new Daydream View offer a 10-degree wider field of view, which means you’ll need to adjust the headset less to get a clear image. For what it’s worth, I didn’t notice a difference — more testing is definitely required. One other new feature worth noting is that the Pixel 2 and Pixel 2 XL’s front-facing speakers result in a much better audio, though earbuds are definitely the ideal option because they make it easier to hear directional audio, which is important with VR. 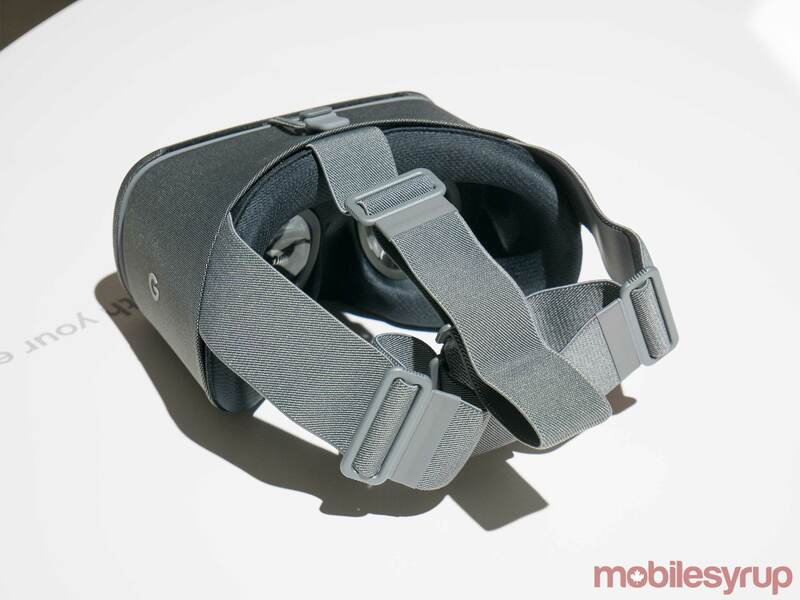 It’s worth noting that along with the Pixel 2 and Pixel 2 Xl, the new Daydream View is also compatible with the Galaxy S8, the S8+, the Note 8, the Moto Z and the Moto Z2 (which likely isn’t coming to Canada).